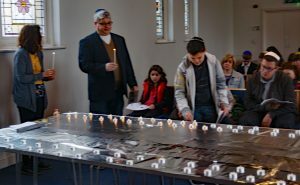 Sunday 15 April was the first day back for the Cheder after the Pesach breakand it was also the date of the Synagogue’s annual Yom Hashoah service when the Cheder and the adult members join in remembering the 6 million Jews and 4 million opther innocent people who perished in the Holocaust perpetrated while the Nazis were in power from 1933 to 1945. 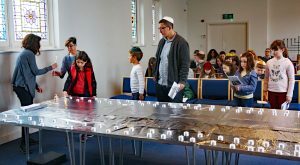 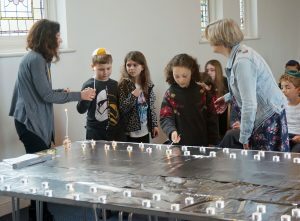 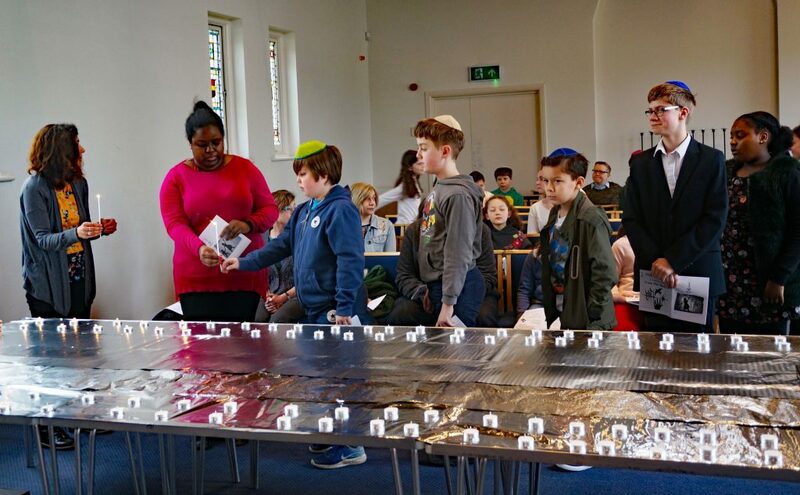 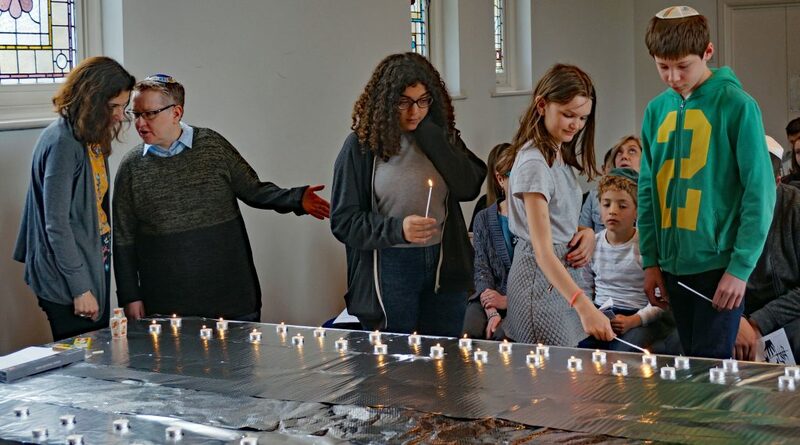 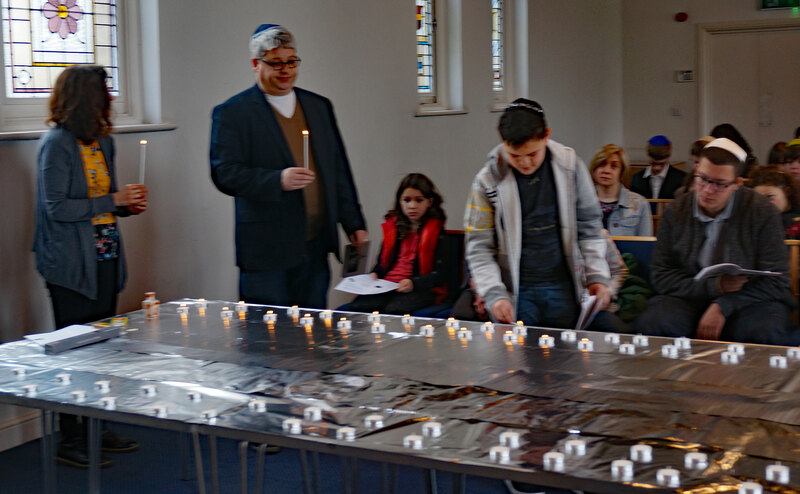 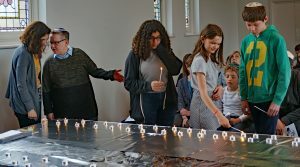 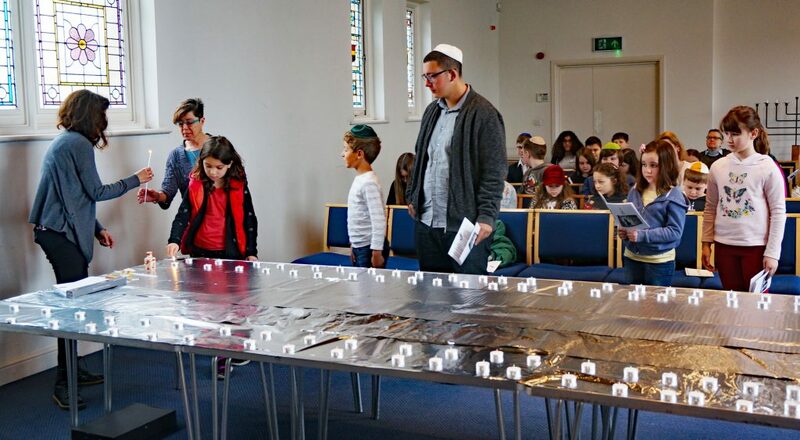 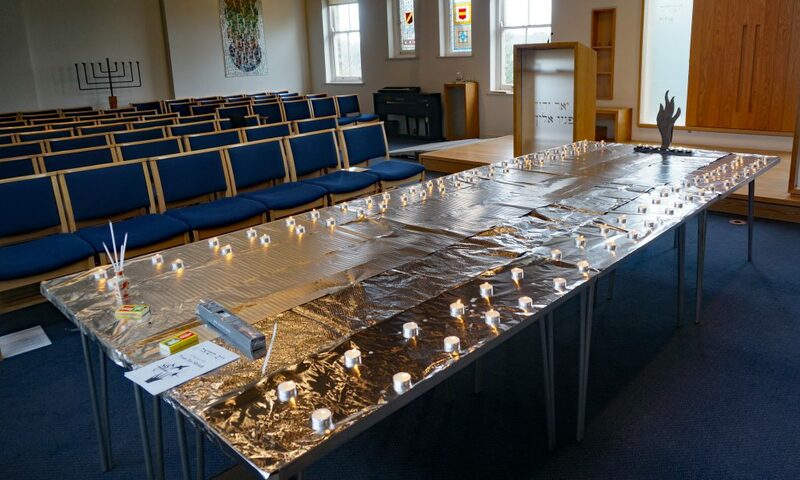 As part of the service, after slected adults who had close connections with the events of the Holocaust lit the six lights of the special menorah, the children of each Cheder class kindled memorial l;ights in turn, after which all the adults present were invited to kindle the remaining lights. After the service Ruth Rolle read extracts from the account of the personal experiences of a Holocaust survivor, who now lives in Nightingale House and had been asked to tell her story to the Cheder children and their parents, but was unfortunately not well enough to do so in person.